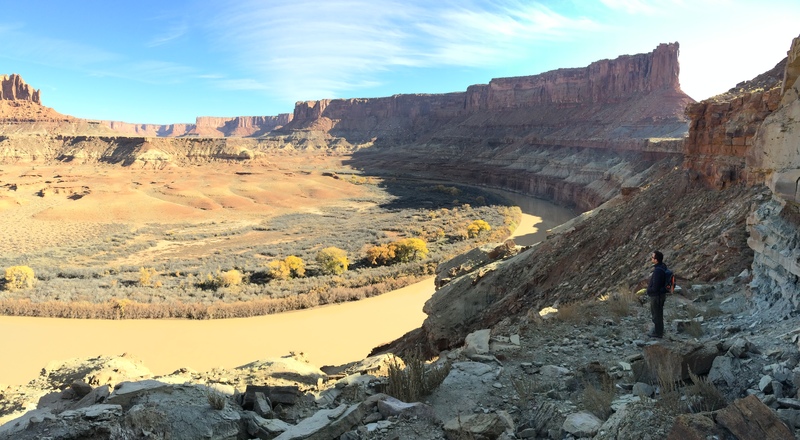 In the spring and fall permits for the White Rim Road sell out fast. It’s no wonder why. 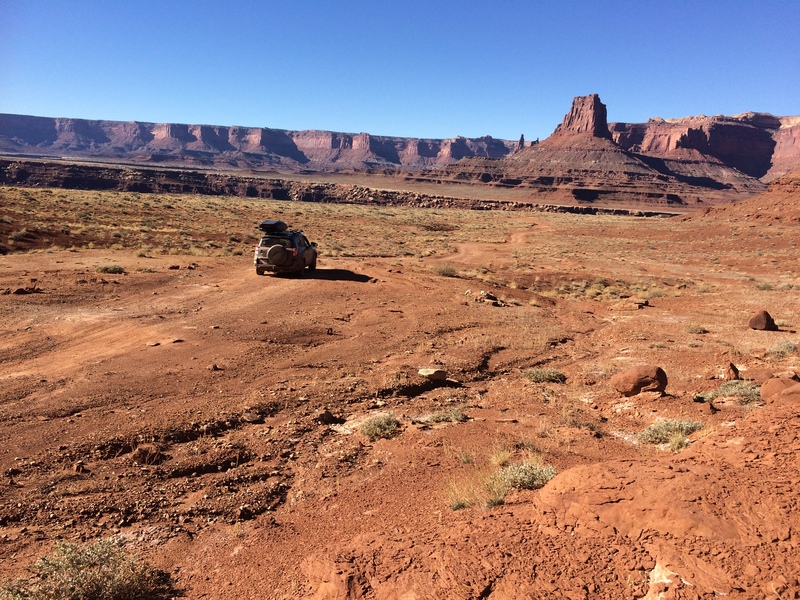 The adventure on White Rim Road in the Island in the Sky district of Canyonlands offers more than just off-roading. 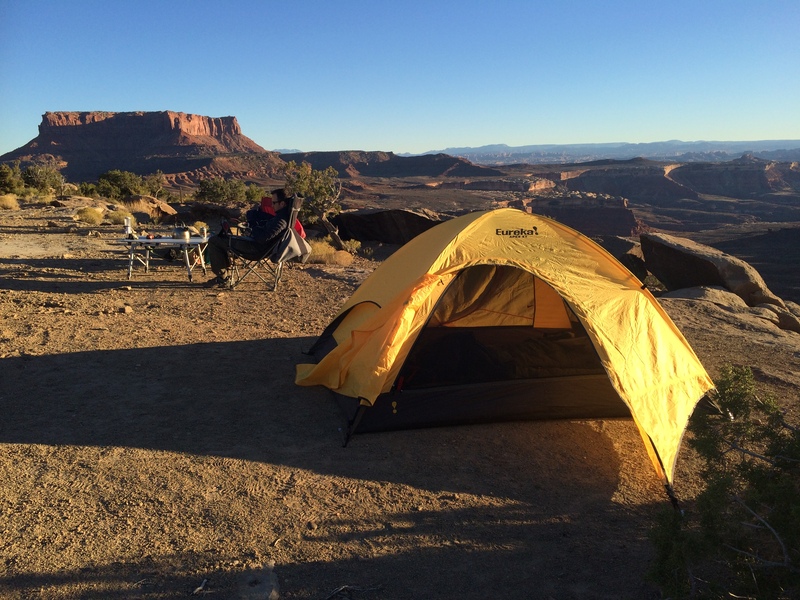 Tack on canyon rim camping, mountain biking, and hiking over a minimum of 2 days and 1 night and you’ve got some wild fun. $30 permits can be reserved up to 4 months in advance but thanks to the cold off season we acquired ours the afternoon before we began our first real off-roading adventure. Because it was our first true off-roading experience, no words can describe what a freakin’ BLAST it was, albeit sometimes nerve-wrecking and stressful. 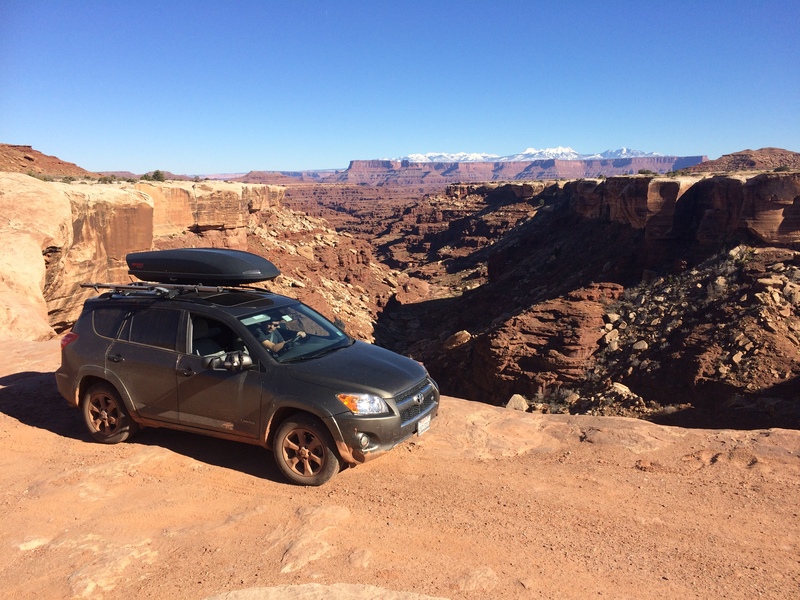 Now that we’ve driven it we cannot recommend doing it in a Toyota RAV4 even with a V6 and 4-wheel drive. We’ve probably done more damage to the vehicle than we can see. Next time we’re renting a Jeep. 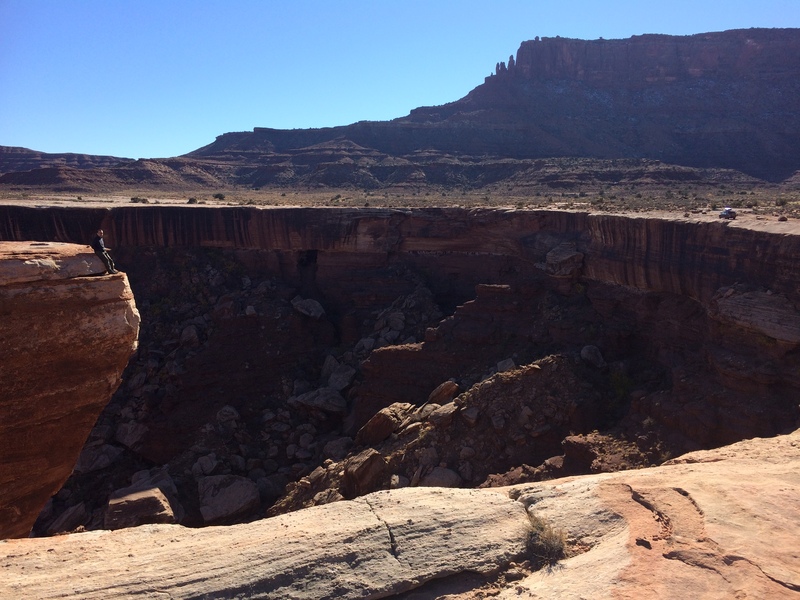 The remainder of this post below will showcase mostly pictures from White Rim Road. 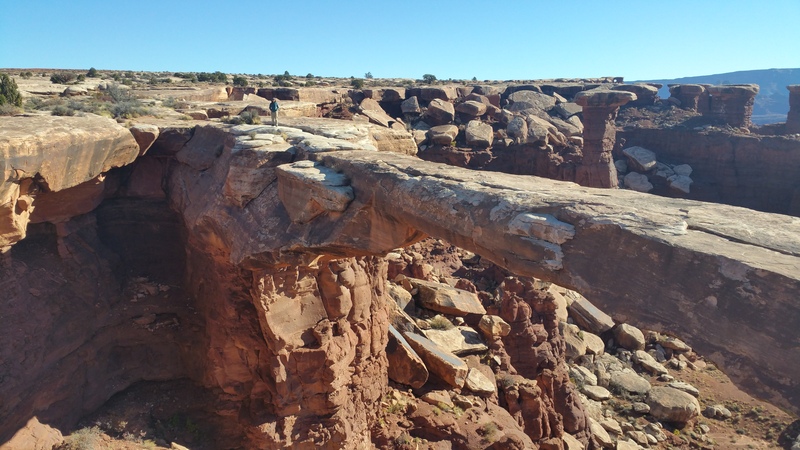 Unfortunately, the famous, windy Schafer Trail down to the rim from the national park was closed due to ice so we entered from Moab via Potash Road. 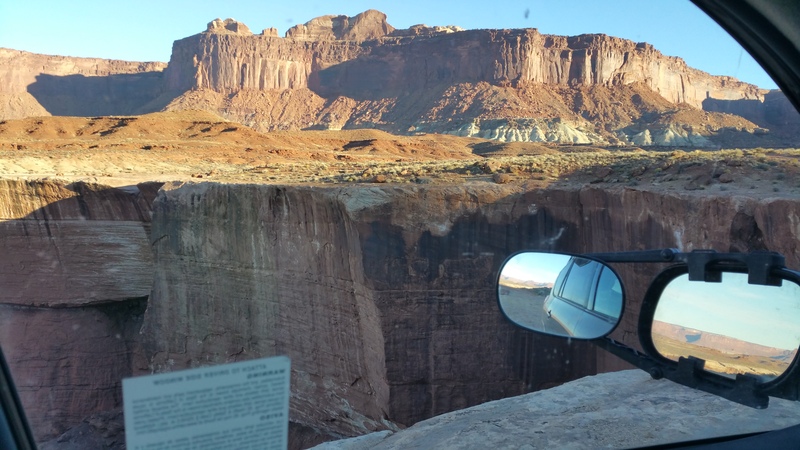 Much of the road hugged cliffs and the canyon rim, including steep switchbacks on loose gravel with boulders to one side and steep drop offs to the other. 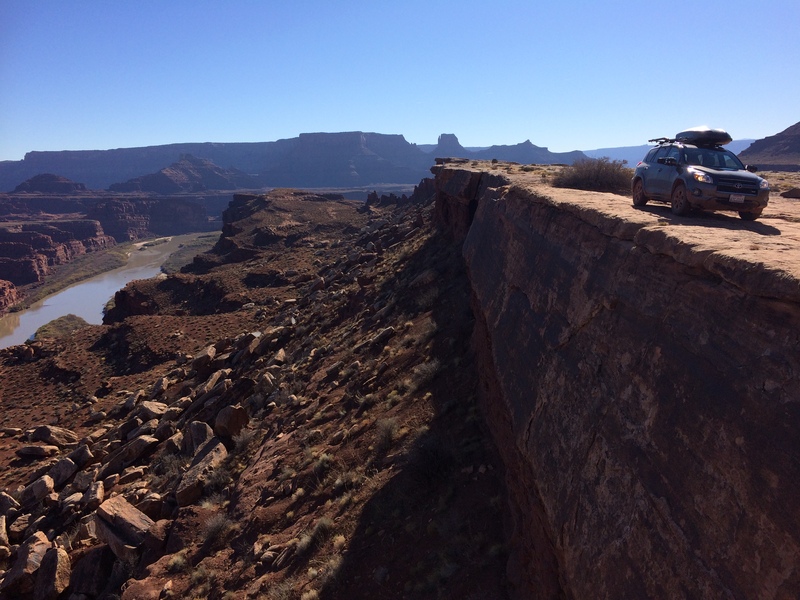 Super close to the edge at Gooseneck Overlook! We were surrounded by breathtaking desert beauty the entire drive. 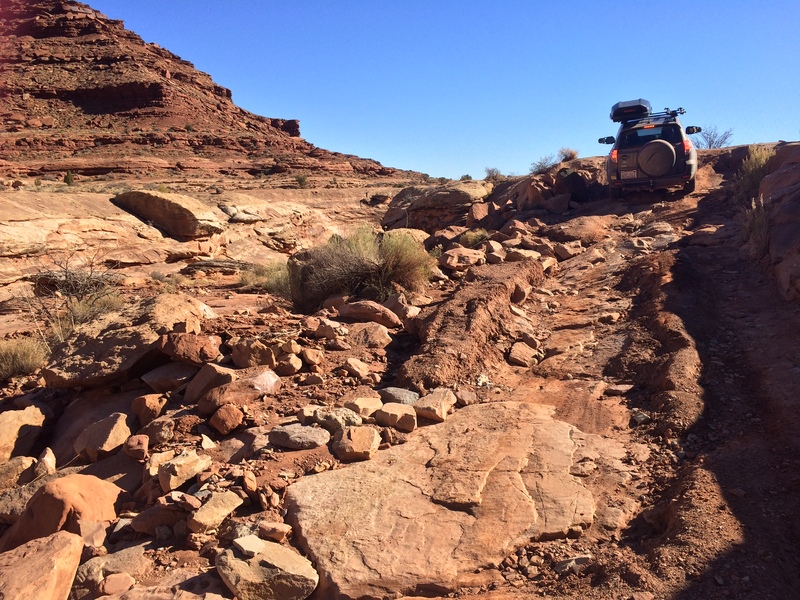 Roads like these were exhausting. But views like these made the effort worth it. 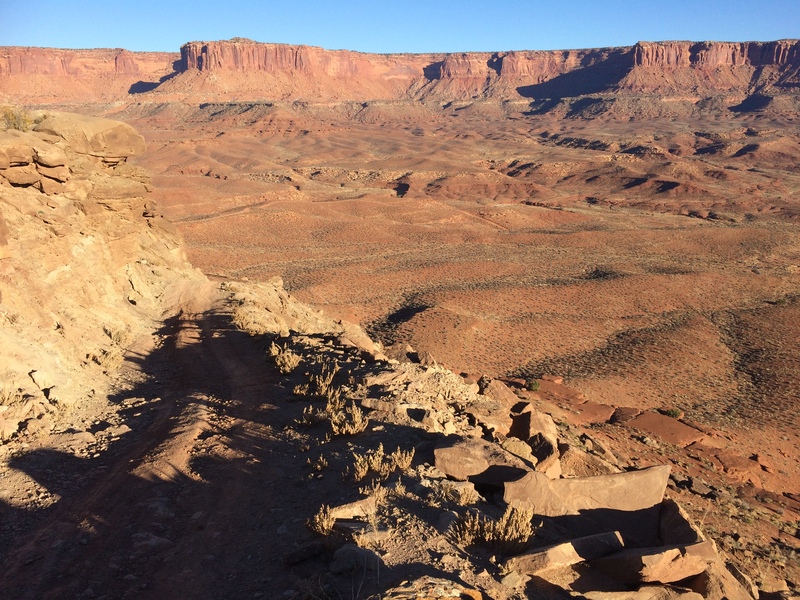 Our first day ended with a drive up this steep, bumpy road. 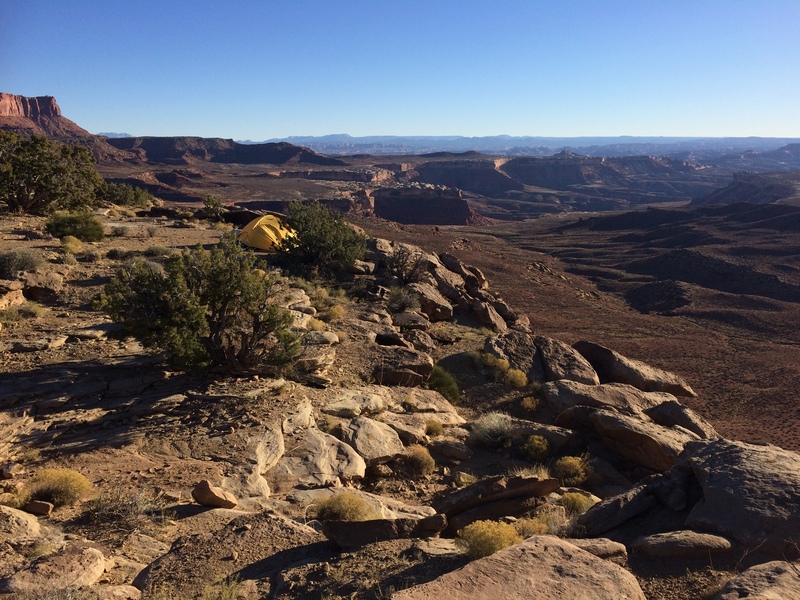 We set up camp at Murphy Hogback along the canyon rim. Even before the sun set, temperatures dropped tremendously. 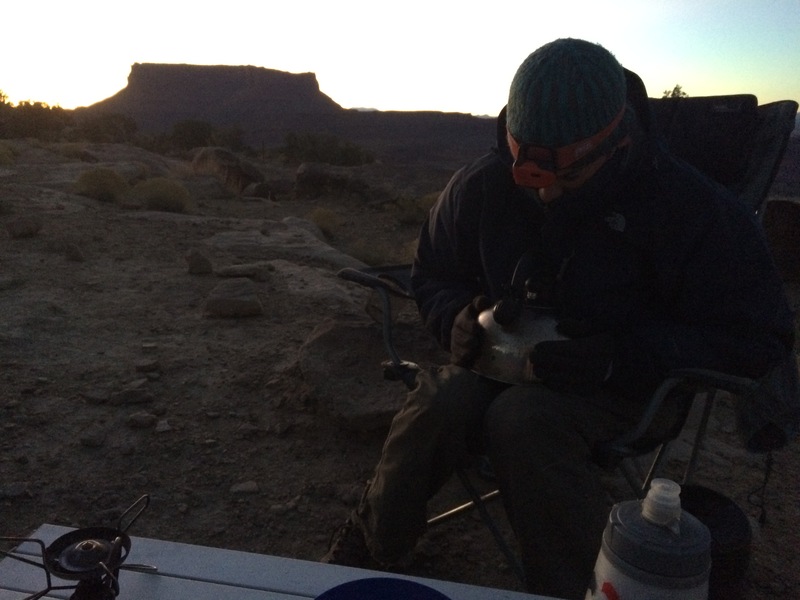 Temps dropped to below freezing that night, so we spent most of the evening huddled in our sleeping bags. Considering we were in our sleeping bags before 9pm, it was no surprise that we were up before sunrise. The hot kettle was used for making hot beverages and warmth. 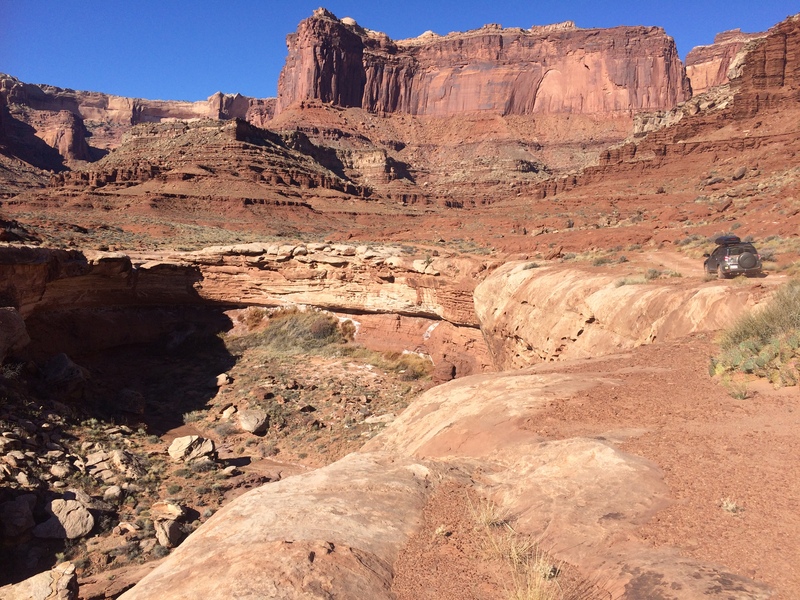 After witnessing the canyon being flooded with sunlight, we broke down camp to drive the remainder of White Rim Road. 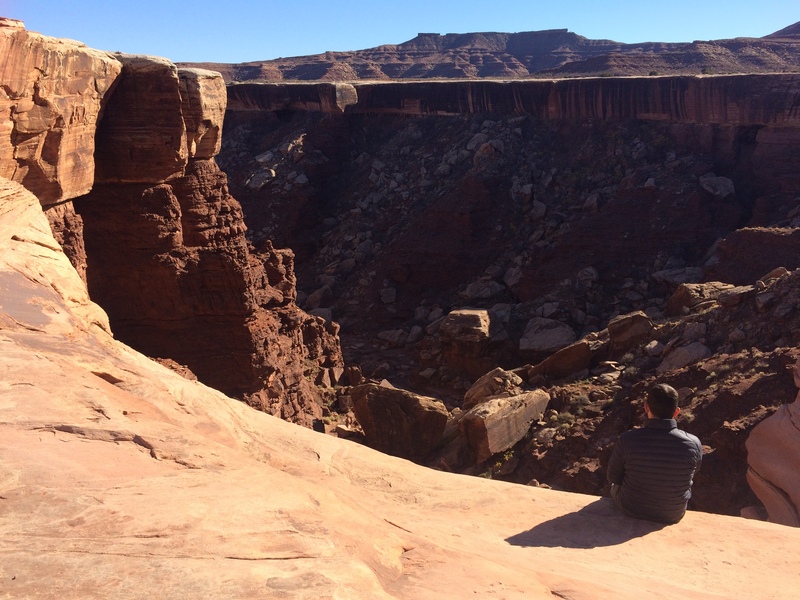 More awesome views and drop offs. 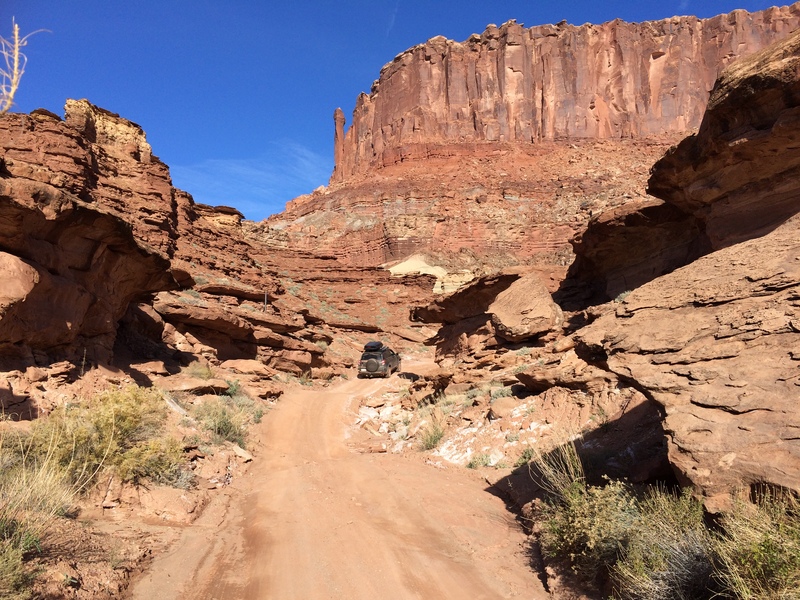 Narrow roads between rock formations reminded me of a theme park ride. 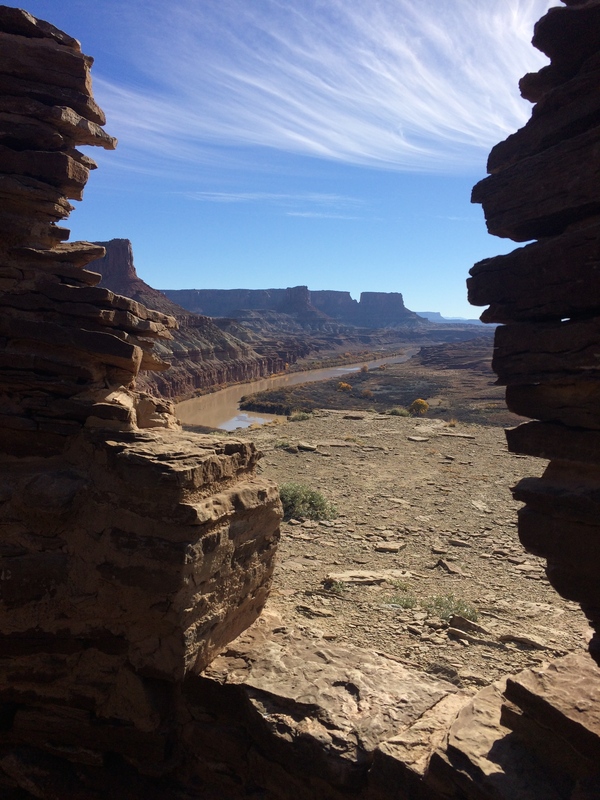 Before getting off White Rim Road we made one final excursion by hiking the short 3-mile roundtrip trail to Fort Bottom Ruin. 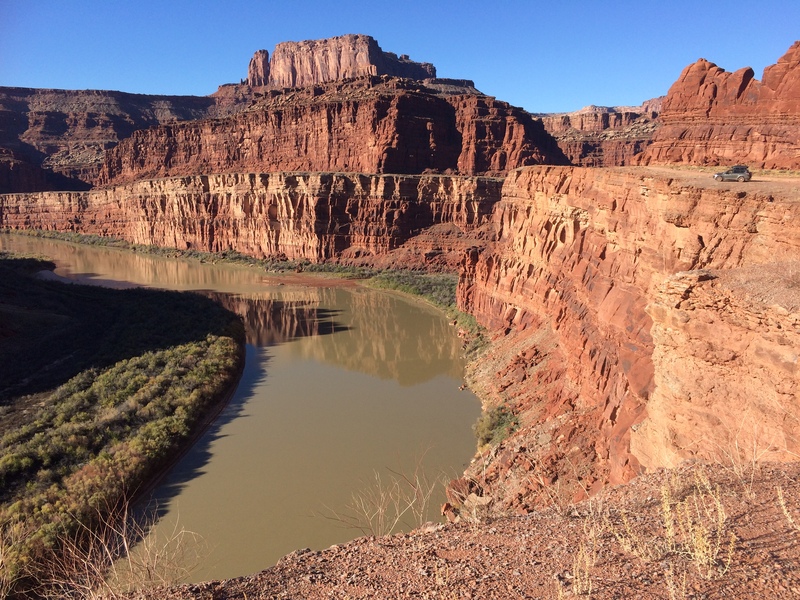 The day before we were rewarded with views of the Colorado River; now we had views of the Green River. 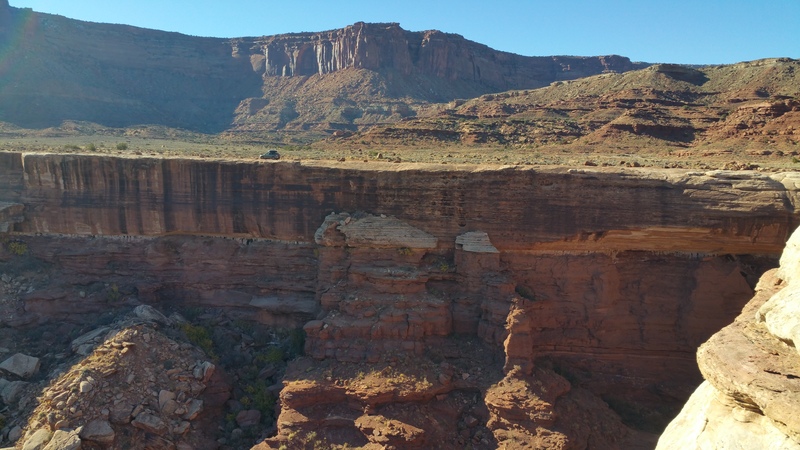 Getting to Fort Bottom Ruin required a short stroll over an incredibly narrow mesa top. 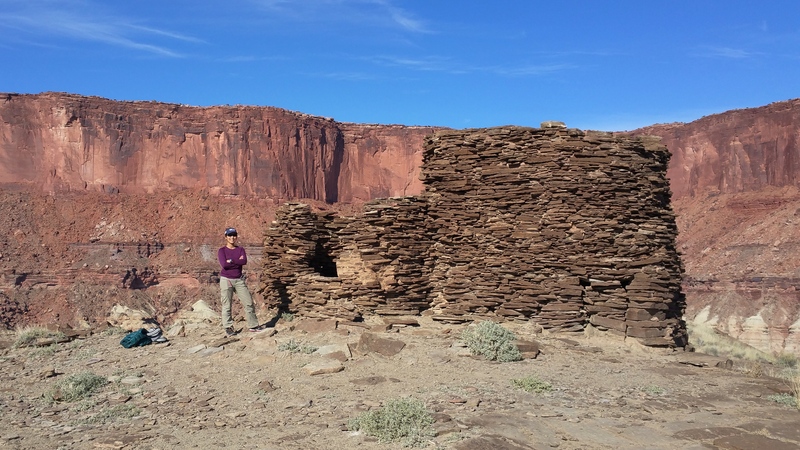 Fort Bottom Ruin, a tower structure once home to ancestral Puebloan people. 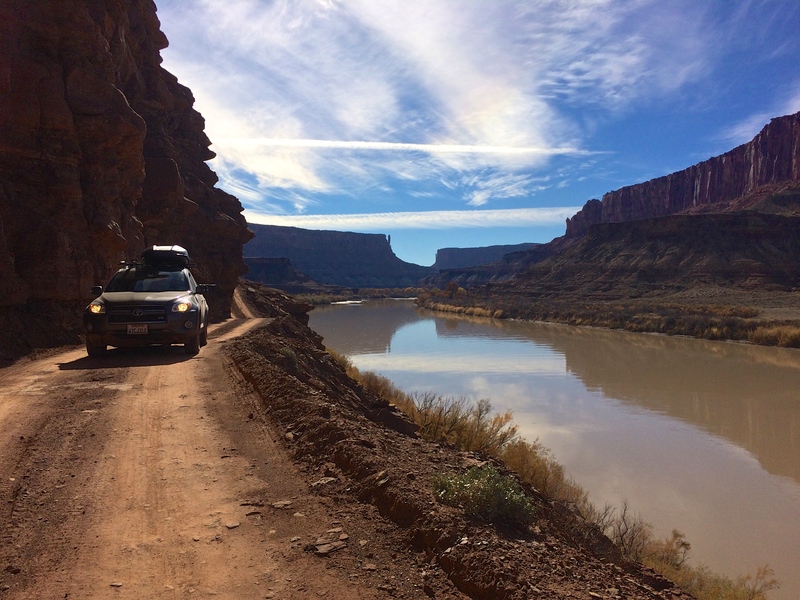 Upon returning to the car after the hike to Fort Bottom Ruin, we finished off the last several miles of White Rim Road by driving on relatively easy dirt road along the Green River. 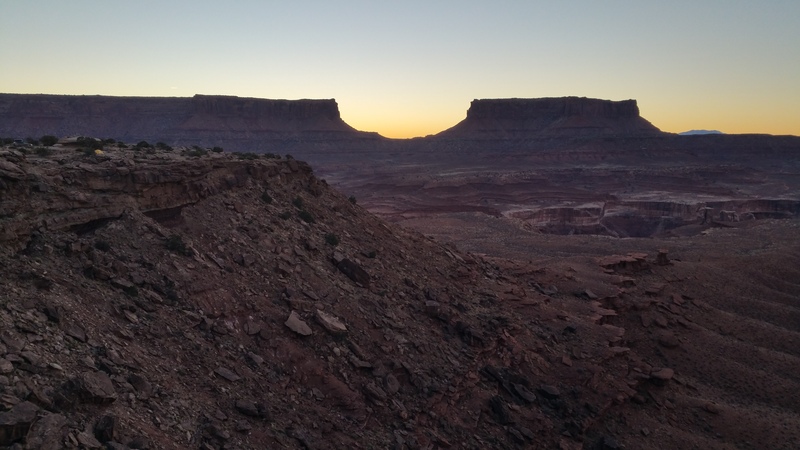 Nothing more could have topped off our 2-day/1-night excursion on White Rim Road other than an evening back with Scromp. 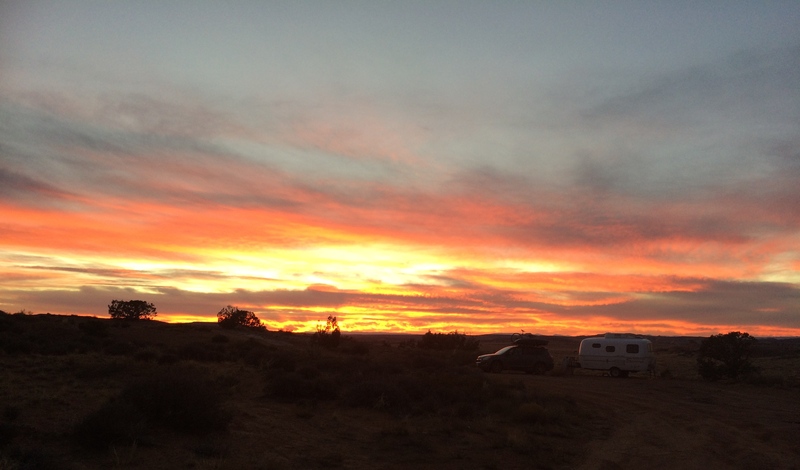 After spending the previous night shivering in our sleeping bags in below freezing temps, we fully appreciated the warmth and coziness of our trailer. The gorgeous sunset that night was also icing on the cake. 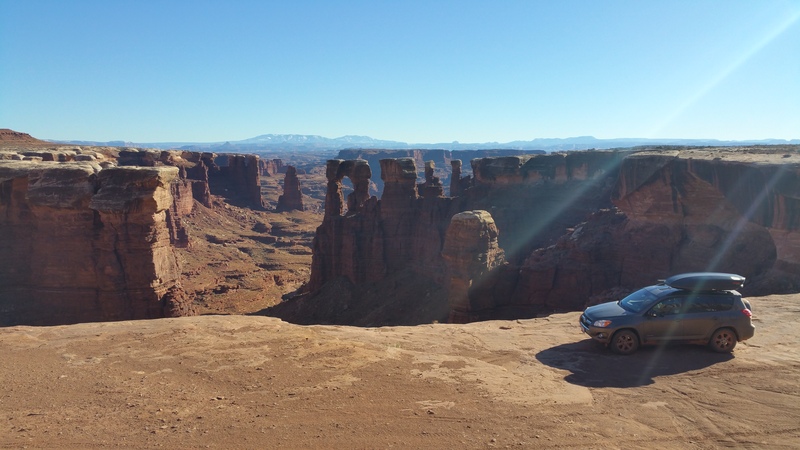 This entry was posted in Utah. Bookmark the permalink. Wonderful shots giving us a feeling for the trip. 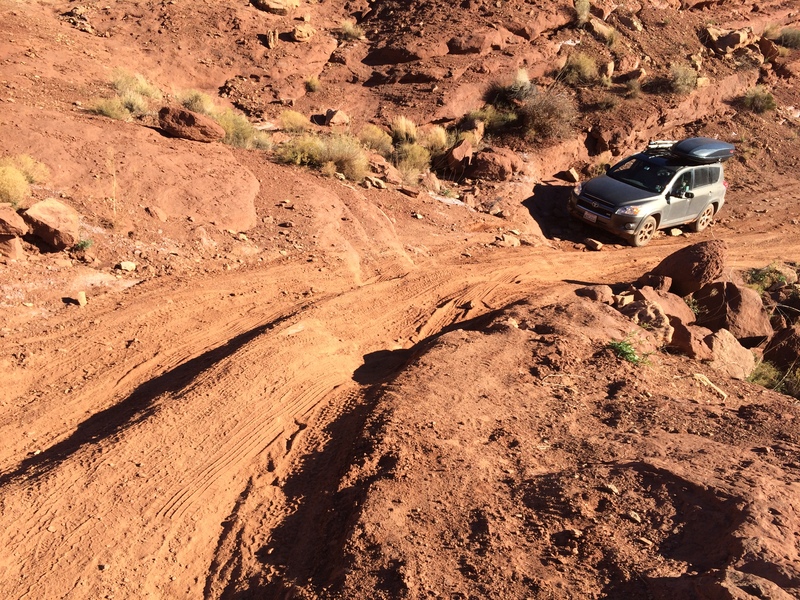 Brave way to start off-roading.